With the next.manager we have succeeded in developing a software application which is simple to operate despite its complex functionality. The application takes over the configuration and administration of your system. This functionality saves you time and money, particularly in larger buildings. Data reports enable you to track results over several years. 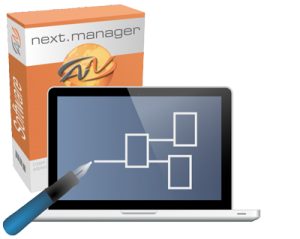 The next.manager is compatible with all standard operating systems such as Windows, Mac and Linux and maps the running system live on your PC. Easy and convenient operation from home, from the office or from an internet cafe on holiday! The x.web application runs on all standard web browsers. 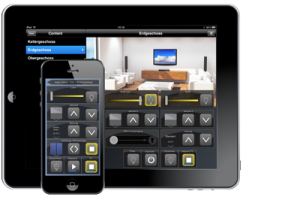 A practical App for Apple iPad/iPhone, Android devices and touch panels for operating the building controls. 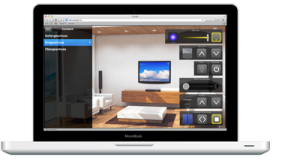 The display can be easily configured and personalized using drag and drop, simplifying operability even further. Customise the visualisation to your own unique requirements. Individual floor plans or a photo of the respective rooms can be implemented- each with its correctly positioned elements. You can also add a visualization of workflows, such as those of the pump activities behind a solar heating system. This functionality keeps you “in the picture” in the truest sense, when it comes to the current processes. next.energy has been designed for the monitoring and management of energy. These are indispensable contributors to the improvement in efficiency of energy applications. 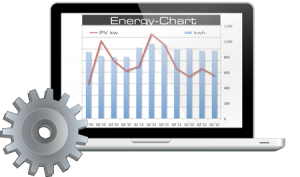 We can therefore offer you the right tools for the compilation and analysis of consumption data, for the automatic generation of energy reports and charts in PDF format which can be distributed by email. The vision of optimal utilization of available resources is what drives our development. With its straightforward methods and precisely calculable effort, next.energy is the ideal solution for the optimization of both energy and costs.